For years Microsoft Office has been the defacto standard of Office Suite programs. Actually, I think it’s been decades at this point since another program has been considered a real revival for Microsoft Office. Almost all businesses use it and most government agencies rely on some version of it so if you want to send or receive documents that’s really been your only option. If Microsoft Office was free, maybe that wouldn’t be such a big deal. But it’s not free. Far from it, Microsoft Office is now several hundred dollars per year even for home users. That seems a little ridiculous to me. So today I’m going to show you how to get a free, full featured Office suite for absolutely free. And best of all, it’s compatible with most Microsoft Office formats so you can still exchange documents with people using Microsoft Office. The program I’m going to show you today is called LibreOffice, an open source office suite created by volunteers and professional programmers all over the world instead of a single organization. When I say “office suite”, what I really mean is a group of programs. Normally an office suite includes at least a word processor, a spreadsheet program, and a program to create presentations. In Microsoft Office these programs are called Word, Excel, and Powerpoint, respectively. The office suite I’m going to show you today also includes its own word processor, called Writer, it’s own spreadsheet program, called Calc, and it’s own presentation program, called Impress. It also features a drawing program simply named Draw, a math formula editing program (which most people will never use, I know) called Math, and a database program, similar to Microsoft’s Access database, called Base. Obviously these aren’t the most creatively named programs ever, but they definitely get the job done. Long time users of Microsoft Office, specifically those who used MS Office before they switched to the so-called “ribbon” user interface, will immediately recognize some similarities between Word and Writer. The vast majority of Word’s features are also in Writer, so the learning curve when switching programs is minimal. This also goes for Calc and Impress. Years ago, when Calc was relatively new, you couldn’t necessarily trade documents back and forth between Calc and Excel. Microsoft Office uses proprietary file formats by default, so it took a while for the LibreOffice team to make Calc into a usable and compatible alternative. Lately, though, the compatibility level is high enough for everyday use. I’ve used LibreOffice at work and at home for many months now and haven’t run into a document it couldn’t handle yet. 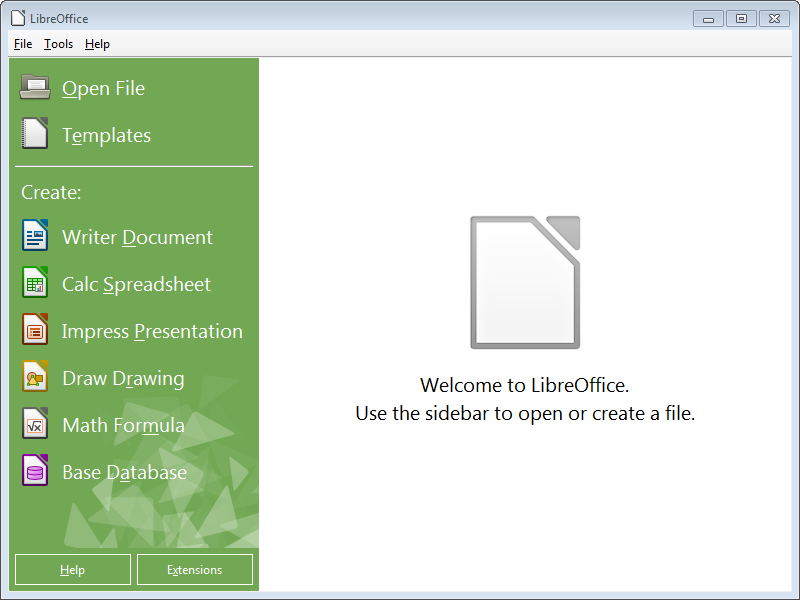 LibreOffice can be downloaded from the official LibreOffice website. Bare in mind, though, that an office suite is a huge program, and the current file size of the download is over 200 megabytes. If you’re on a slow connection it’s likely the download will take a very long time to complete. Have a problem opening documents or other files on your computer that you need help with? Zookaware technicians are here all day everyday for remote technical support.